Congrats to Ava & Sarah for great skates at the 2018 Chaparral Ice Winner's Circle. You both did great; so proud of you! 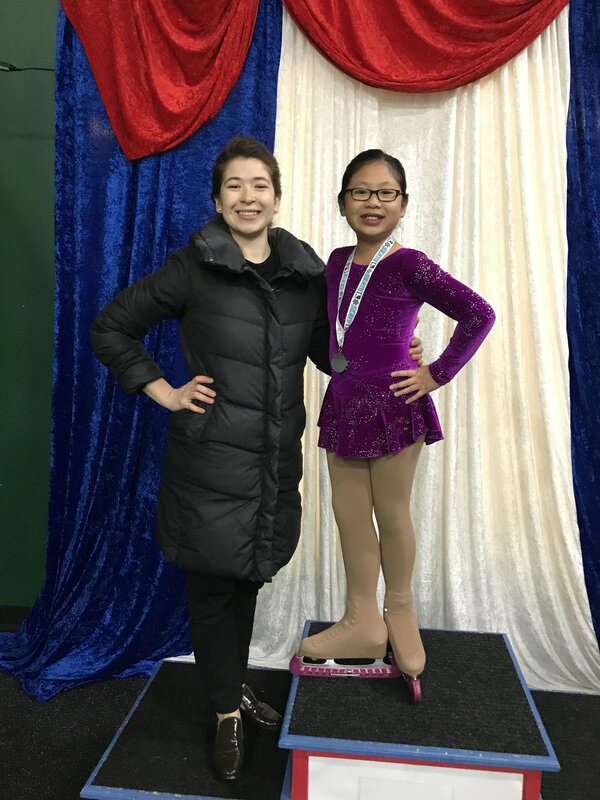 Congrats to Elizabeth for two great skates on Sunday's Bluebonnet Open at Chaparral Ice! Very proud of you! Congrats to Katherine for two great skates at Chaparral Ice's Winner Cicle. Great skate- super proud of you. Keep on Skating! Check out this little clip of Ice Dancing featured on the CW Austin. Here's to bringing more recognition to the sport! And, you get to see me skate with a news anchor! As some of you may know, I've been accepted to the University of Texas in Austin to pursue my MFA in Playwriting. While I'm down there, I'll still be coaching, now at Chaparral Ice. It's been such an honor and privilege to work with all of my students at World Ice, The Ice Hutch, and at the Palisades Center. Here's a few photos from a week of goodbyes and here's to the new chapter ahead! Congrats to my skaters who skated at The Rinx Summer Open on Sunday, July 9th! Together we took home two golds and one bronze! Good work, ladies! Congrats to Michelle for a Great Skate at the Alice in Wonderland Show at World Ice Arena! Congrats to Christina, Jayden, Josefa, Kelly, Michelle, Sofia, Sarah and Valeria for great skates at the WIA Open! Together we took home 5 Gold, 3 Silver, and 1 Bronze medal. Nice work girls! Congrats to Sarah and Michelle for passing your Preliminary MIF! Very proud of you both! Congrats to Ashley-Troi and Hannah for great skates at the World Ice Spring Showcase! Super proud of you girls! 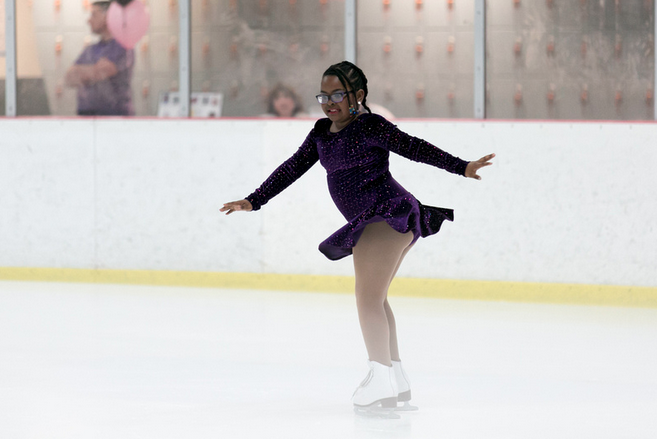 Congrats to Valeria for passing her Preliminary Moves in the Field at World Ice Arena & Knickerbocker FSC's January 16th Test! Congrats to Rory, Cheryl, Zoe, and Nella for their skates at the 2015 World Ice Arena Fall Open this past Saturday, October 24th! Together we took home 2 Golds and 3 Silver metals! Congrats to Michelle (Pre-Pre MIF), Rory (Juv MIF) and Sarah (Pre-Pre MIF) for passing their tests at the City Ice Pavilion September 26th test. Very proud of you girls! Keep on skating! Check out this video of Michelle skating to her "Chicago" routine at World Ice Arena's Summer Concert Series! Huge Congrats to Cheryl for passing her Pre-Juv MIF and to Nataniela and Daniela for passing their Preliminary MIF! Go get 'em ladies! Congrats to all my skaters who competed in the 2015 World Ice Arena Open! Together we took home 8 gold, 4, silver, and 2 bronze metals. Go get 'em ladies! Nicely skated! Here's a few photos from the the day! The following professional photos are provided courtesy of Dave Ballesteros. The full album and photos to purchase can be found here. Thanks Dave! Incredibly proud of all my skaters who skated at The 2015 Ice House Basic Skills Competition on April 12th! Together we brought home 2 Gold, 2 Silver, and 1 Pewter Medal. Great Job Catherine, Eliska, Dahlia, Hannah, Daniela and Nataniela! Super proud of all of you. Huge Congrats to Ashley-Troi, Karen, and Valeria for passing their Pre-Preliminary Moves at Knickerbocker FSC's April 11th Test at World Ice Arena! A full video of the show can be found here.